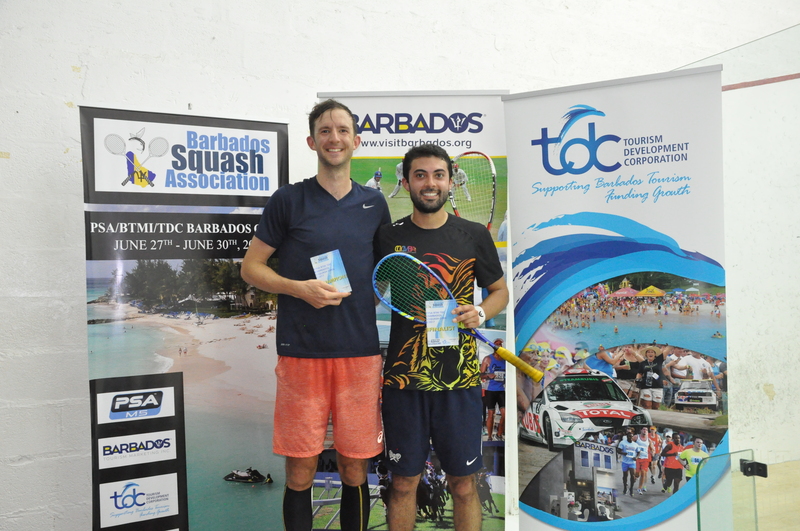 The BTMI / TDC Barbados Squash Open gets underway at the Barbados Squash Club on Tuesday June 27th and four days of exciting and competitive squash action is eagerly anticipated. 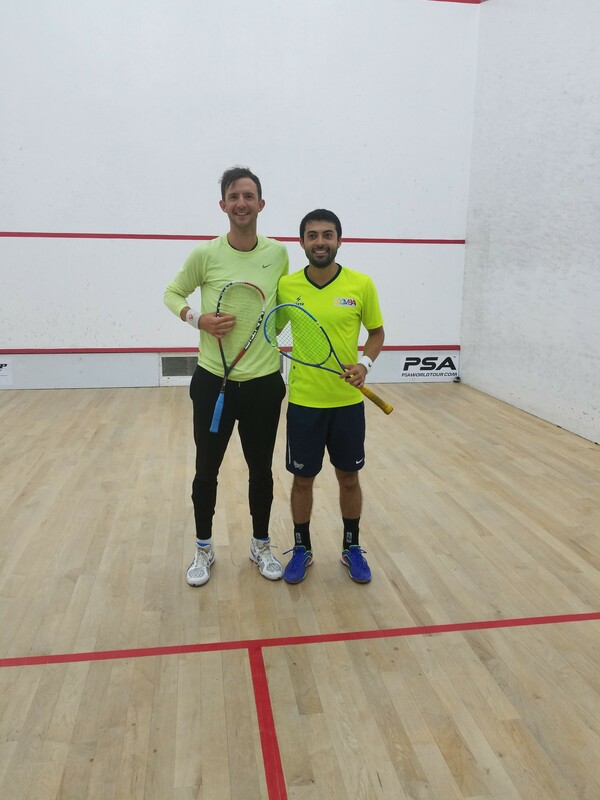 Following the success of the inaugural event held last year this second edition of the BTMI / TDC Barbados Squash Open, which is a Professional Squash Association (PSA) world tour event has attracted even more interest from professional squash players from around the world. Players from the following twelve countries, as well as Barbados, will be here to participate: British Virgin Islands, Canada, Cayman Islands, Colombia, England, Guyana, India, Malaysia, Mexico, Paraguay, Trinidad and Tobago and the USA. There are now 30 participants with 18 players flying in from overseas who will pit their skills against the 12 local entries. These PSA players will be coming here to finish as high as they can, in order to earn ranking points and hence improve on their respective world ranking. They will also get to experience some of our warm and vibrant Barbadian hospitality along with their guests. The PSA is the global governing body responsible for the administration of both men’s and women’s professional squash around the world and currently has more than 835 registered players, including over 570 active male members worldwide and holds more than 200 squash events annually. Due to a few very late withdrawals of overseas players, due to injury including the former #4 seed, there has been a re-draw of the BTMI / TDC Barbados Squash Open which gets underway at the Barbados Squash Club this afternoon now Tuesday, June 27th at 3:30 p.m.
Barbados’ top ranked player and 9-times and reigning National Champion, Shawn Simpson, is now scheduled to play the 4th ranked player in the Caribbean, Sunny Seth, from Guyana, at 7:15 p.m. while our second highest ranked national player, Rhett Cumberbatch, gets a bye into the second round on Wednesday afternoon as his overseas opponent, Nicolas Caballero, of Paraguay, has had to withdraw. The BTMI / TDC Barbados Squash Open will be held at the BSC, which is located in Marine Gardens, Christ Church. The first round of matches will now commence on Tuesday 27th June at 3:30 PM and will continue until approximately 8:00 PM. The second round will take place on Wednesday beginning at noon and is expected to be completed around 3:00 PM and the quarter-final matches will take place on the same day beginning at 6:15 PM and ending around 8:00 PM. The two semi-finals will take place one after the other on court #1 on Thursday, June 29th, beginning at 6:00 PM and the final will take place on Friday evening starting at 6:00 PM with the presentation of awards immediately thereafter. The Barbados Squash Association (BSA) is managing the event which has a greater number of higher ranked players as compared to last year, so spectators will witness some exciting and very competitive squash over the four days of competition. There is no admission charge for the public so it is expected that Barbadians will come out in their numbers to watch some of the world’s top squash professionals battle it out. The main sponsors of this event are the Barbados Tourism Marketing Inc. (BTMI) and the Tourism Development Corporation Inc. (TDC) and without their support this event would not have been possible. The Barbados Squash Association is very thankful to all sponsors, the Organizing Committee, volunteers and the Barbados Squash Club (BSC) for making its facility available. The BTMI / TDC Barbados Squash Open will be held at the BSC, which is located in Marine Gardens, Christ Church. The first round of matches will commence on Tuesday 27th June at 2:00 PM and will continue until approximately 8:00 PM. The second round will take place on Wednesday beginning at noon and is expected to be completed around 3:00 PM and the quarter-final matches will take place on the same day beginning at 6:15 PM and ending around 8:00 PM. The two semi-finals will take place one after the other on court #1 on Thursday, June 29th, beginning at 6:00 PM and the final will take place on Friday evening starting at 6:00 PM with the presentation of awards immediately thereafter.